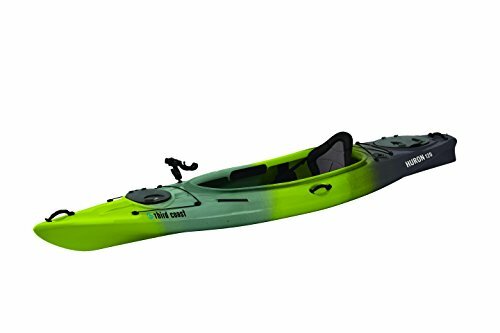 (Last Updated On: June 3, 2018) Kayak Guide Purchase: Paradoxically driving a kayak is much simpler than going into a store and buying one: there are in fact many models of canoes, for the many uses that you want to do. To paddle on a quiet pond is one thing, to leave for a journey of several days descending a river another, and to venture for another rapid yet. But what to evaluate then when you want to buy a kayak? Surely the use that you want to do, how often you will use it and – of course – the price range within which is the amount we want to spend. That said, here are the characteristics to be evaluated and the types to which to address based on the use, the possibility of transport and the price you are willing to spend. 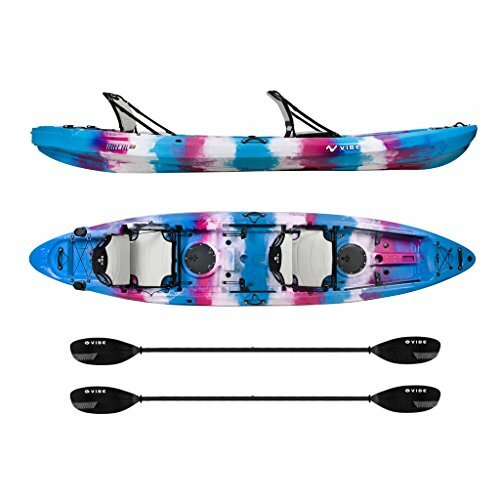 How many types of kayaks are there? 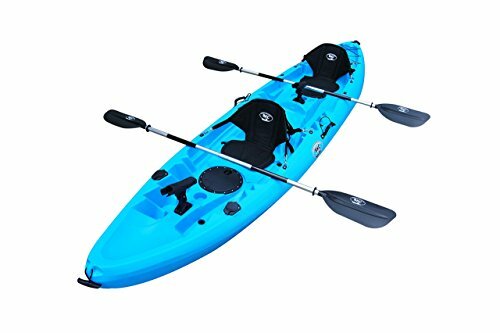 What measures to watch in a kayak? Which kind of hull do you prefer? 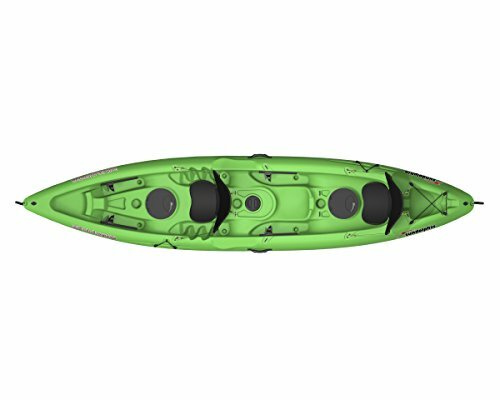 How to choose a 2 person kayak? 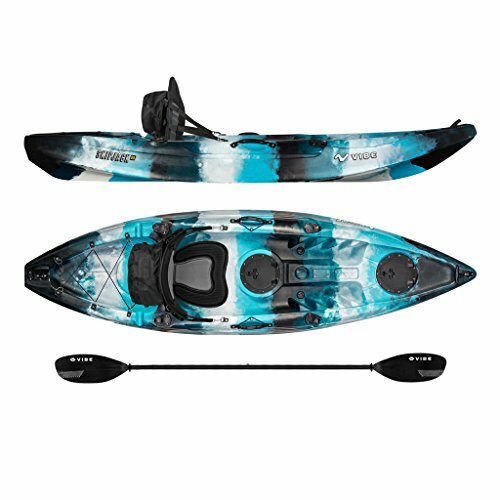 Accessories for a great kayak adventure? There are basically 3 large kayaking families. For placid lakes and quiet rivers: they are substantially wider and shorter than touring (between 2.75 and 4.50 meters) which makes them more maneuverable for bending but also less comfortable for real journeys. They are basically the best compromise between stability, directionality, and maneuverability and can also be used in urban ponds like these. Those by sea are much longer and more capacious (between 4.90 and 5.80 meters) because they have to transport everything that can be used in a journey of several days, from tent to food to equipment: for this reason, they are less agile but with the advantage of greater stability. Or rapids and tumultuous watercourses: they are short (within 2 and a half meters), nerves to be driven, although very agile, often with flat or rounded bottom and an accentuated (almost banana-shaped) rocker to face the rapids. Precisely for their use, they are indicated to those who already have the ‘handle’ to guide them. It depends, as always: long ones are more stable, less effort is made (or at the same effort they go faster) and spin straight, even if maneuverability is certainly not agile; the short ones are lighter, more manoeuvrable, obviously more easily transportable even with medium-sized cars and often cost even less (with the same materials), but they are definitely more tiring to push and more nervosity to drive. And the width? Obviously, the width of a kayak makes it more stable, but the price to pay is less maneuverability and a surplus of effort to paddle. If you want stability, you need a flat or almost flat hull, with almost right angles between the bottom and the sides; a more V-shaped (more or less accentuated) enhances agility, obviously to the detriment of placidity. 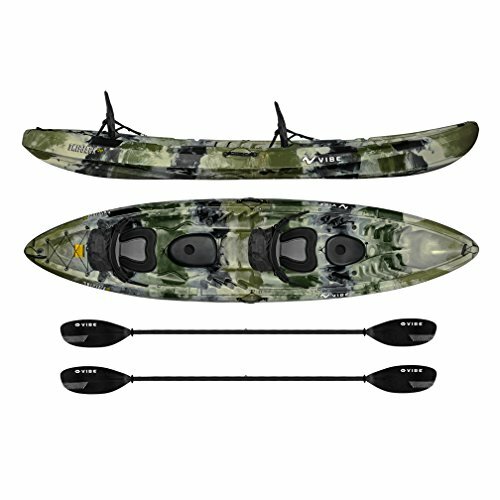 If you are looking for speed, you need a long, narrow kayak with the accentuated V-shaped hull, which cuts the water rather than floats safely on it. Then you have to look at the rocker at the ends of the hull: if it is pronounced it will be easier to pivot and face the waves since the extremities do not fish in the water; contrarily less rocker means that the kayak resists better the turbulence of the water but runs with less ease. Their diffusion has been remarkable, for a couple of decades, until new more advanced materials have arrived. 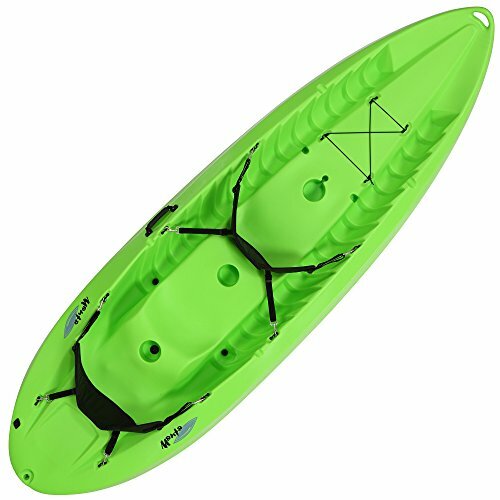 With advances in molding techniques, most kayaks are now made of polyethylene, cheaper to manufacture and market. As the name suggests, in this kayak you sit on the top of the hull. It does not have an “internal” section, apart from sometimes openings that act as a deposit. 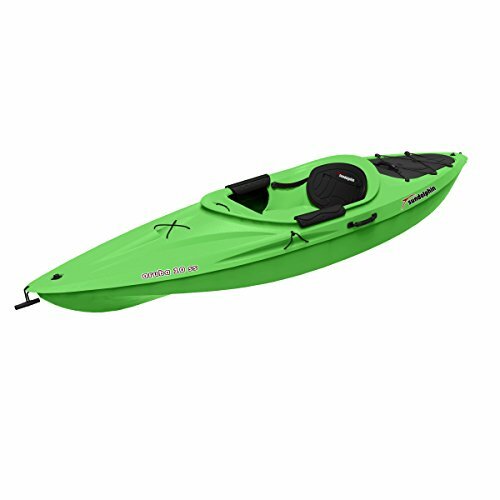 It is primarily designed for lakes and rivers and generally for calm waters. Its advantages include easier accessibility: its design makes it versatile enough for recreational activities, such as swimming bases or children’s boats. Her session offers a lot of comfort for everyone: from sturdy people to those with long legs and feet, to those who do not have a particular body agility. 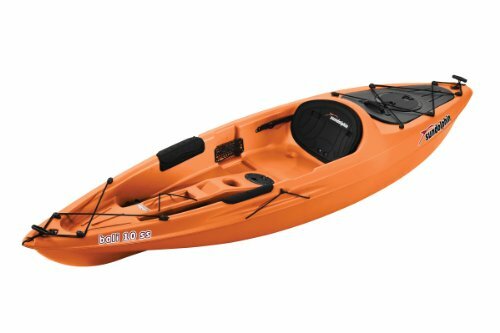 In fact, you’re not confined to a small cockpit opening: with this kayak, you can stretch and flex your legs comfortably. Another advantage is the presence of holes for water drainage. In this way, you will never find yourself sitting in a puddle. One of the biggest fears that one has is to get trapped inside the cockpit in case the boat capsizes. With a kayak of this type, you will simply have to move. Last but not least, they allow you to stow in a practical way the equipment, such as fishing or swimming accessories. This is why they are the favorite boats for divers and fishermen. The key feature that distinguishes a sit in kayak is the presence of an open cockpit, where the canoe sits. It is a type of fast boat, generally equipped with several cargo compartments. They offer better protection from adverse weather conditions and waves in case of rough water. They also encourage greater control during paddling as they provide greater contact with the boat. And, last but not least, this type of kayak is more easily rebuilt. On average, a bi-seated kayak weighs between 35 and 45 kg and this may require the use of a kayak trailer, to be attached to the car. The models in fiberglass are appreciated for their remarkable lightness. Another aspect that you must consider is the length. In principle, this will depend on a couple of factors such as the paddle technique, physical strength and the means of transport that you will use to transport your kayak. If you are a novice canoeist, you should opt for a longer kayak that can move more water and increase your stability. The only caveat is that long kayaks can be difficult to maneuver and navigate. On the other hand, short kayaks are easy to maneuver. However, they too easily overturn; therefore, they are more suitable for experts. If you’re sitting in your kayak for a long time, you’ll probably get tired of it. Fortunately, some kayaks are designed in such a way as to offer ample comfort, allowing you to fish or explore the waters all day. If you want a comfortable tandem kayak, choose one with adequate legroom. It is good that it also has upholstered seats. The best kayak is the one that comes with a central snap seat where the child can sit. The seat can also be removed to free up space, especially if you are kayaking with your dog. If you like to paddle during the sunrise, be sure to look for a kayak with a drink holder. Are you going to photograph a beautiful waterfall while you’re out for a kayak ride? Or are you going to fish? 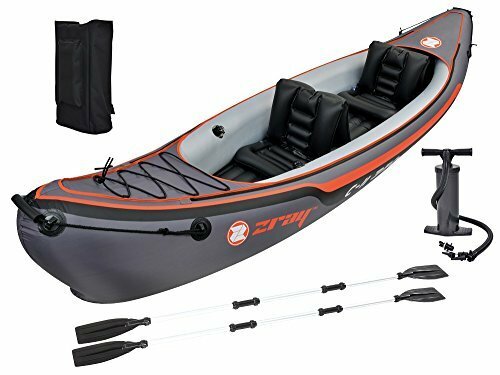 If so, you will need a kayak with multiple storage compartments to hold your gear. Some models are airtight and allow you to store objects without the risk of wetting them. You can even carry your mobile phone to stay in touch with your family waiting for you on the mainland. In the event that your kayak does not have it, it is good to buy bags that provide adequate protection to water. In addition, the elastic cords that intersect at the top of the kayak can be used to hook shoes and other non-electric tools. Read also >> Light Therapy Alarm Clock? White Noise Machine Smart Alarm Clock? One factor that many people forget to consider is the type of water they will want to venture into. This plays an important role in choosing the type of boat. 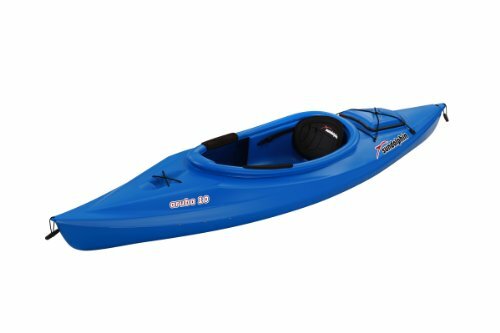 While some kayaks are designed for all uses, ie at sea, in rivers and lakes, others are not suitable for enduring particular turbulence. As long as the weather is right and the waters are calm, you can paddle with peace of mind even if you are not particularly experienced. But as soon as the waters begin to flicker, it is good to get back to the mainland because this kayak type is not able to withstand such waves. 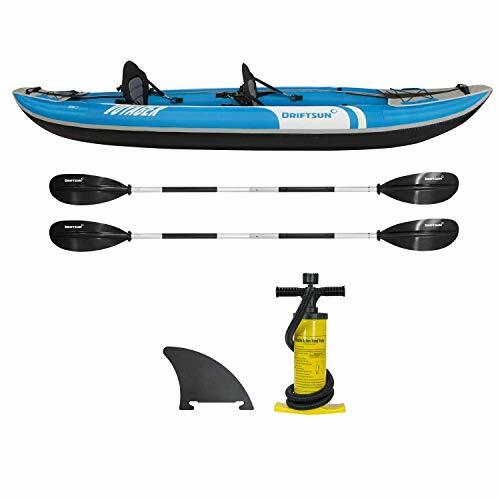 If you plan on kayaking in coastal areas where wind, waves and strong currents come into play, then you should invest in a sturdy model, possibly with a rudder or skeg. But if you’re practicing in a quiet area, then a sit on top kayaking will be fine. In addition to being sturdy, kayaks suitable for navigating on rivers must be flexible so that they can turn quickly. 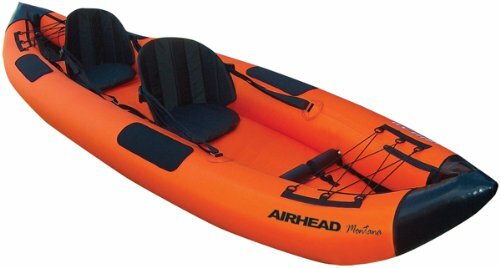 If you are thinking of using your kayak in calm, flowing waters, a sit on top or sit in type kayak is the best choice. 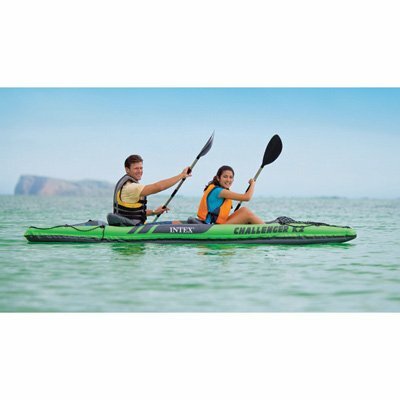 These kayaks are equipped with a skeg, which allows you to ride comfortably. 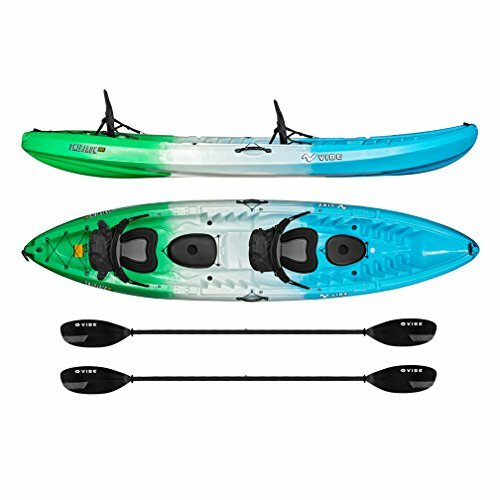 If you are about to embark on a kayak expedition, there are other accessories you can buy to make the most of your adventure. 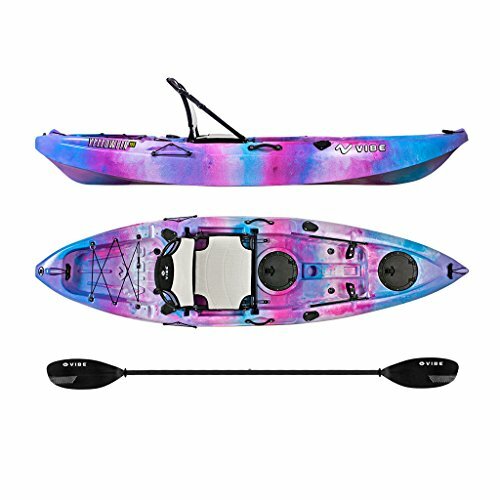 If you are a beginner, you should buy a quality kayak paddle, which is the key to maximum control of the boat in the water. Although most kayaks are supplied complete with paddles, these may not be suitable for your skills or technique. As a general rule, if you are not very tall you should choose oars no longer than 190 centimeters, if you are about six feet, you can opt for a length of 200 centimeters. Another essential accessory for your kayak adventure is a life jacket. Look for a float-style floatation device that you can comfortably strap around your torso. In this way, you are able to move easily if necessary. Do not forget the helmet. This is especially true for people who love kayaking between rapids and rocks. Most helmets are tailor-made for water sports, so they are light and comfortable. And finally, do not forget about the inflator, especially if you plan an excursion that lasts several days.